General TV Channel / Quatro Televisión is a television channel of the city of Arequipa, operated by Compañía de Radiodifusión Hispano Peruana SAC. In 1986 the Compañía de Radiodifusión Hispano Peruana SA was established on the initiative of the brothers Javier, José Luis and Federico Velasco Salinas, two years later, obtained from the MTC the operating license No. 014/88 to operate the frequency 4, with which initiate their transmissions the 26 of September of 1988 using the name HTV (Hispanic Television). In its beginnings, the channel retransmitted the signal of Spanish Television under agreement, the own production was null until the beginning of years 90. On June 20, 2011, it changed its commercial name to Viva TV, renewing its programming and incorporating its signal streaming via internet for the whole world. 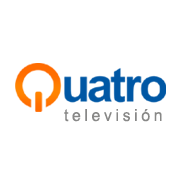 On December 18, 2014, it changes its commercial name to Quatro Televisión.